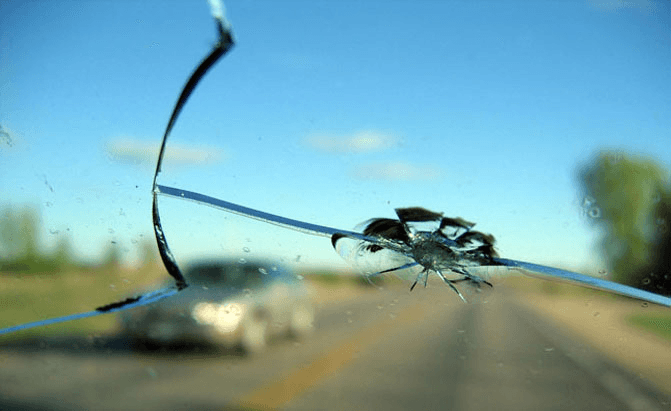 Whether you live in a rural area with lots of gravel roads or a city filled with construction zones, you’re bound to experience a chipped or cracked windshield at some point in your driving career. So what should you do about that chip or crack? And will your car insurance cover it? Pfaff Autoworks has the answers to your questions. If you are a Vaughan resident, and your vehicle has a cracked or chipped windshield, we recommend that you bring your vehicle into our facility today! Read on to learn about how to deal with a cracked or chipped windshield in Vaughan. Should I repair my windshield even with a small chip or crack? Driving around with even a small chip in your windshield could be dangerous, as any kind of pressure (from your windshield wipers, a sudden change in temperature, a carwash, or hitting a pothole, for example) could turn the chip into a larger crack that could obstruct your view, and it could even cause your whole windshield to shatter while you’re on the road, leading to a dangerous driving situation and a much more costly repair. The sooner you can get a chip or crack fixed, the better. This is a common question with Vaughan residents. While you could purchase a DIY repair kit and try fixing a minor chip or crack yourself (as long as it’s not blocking your line of sight), taking your vehicle to a qualified professional for any type of repair is the safest choice. Many modern windshields contain sensors (for your vehicle’s advanced driver assistance technology or automatic wipers, for example) that need to be properly calibrated after a repair to make sure they’re functioning properly, and this must be done by a professional. The windshield on your vehicle is one of the most important parts. It protects you from the elements as you drive on city streets, dirt roads and highways. If your vehicle has a windshield crack or chip, it is very important to address the issue as soon as possible. Bring your damaged windshield into Pfaff Autoworks today for the best windshield repair in the Vaughan area! Browse through our website for more information about our repair services. Click here to find our contact information or to fill out our contact form.